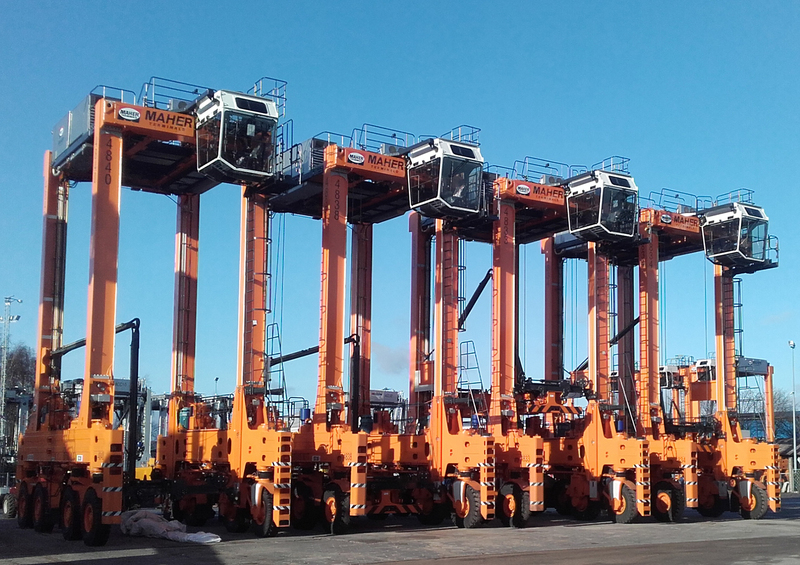 Kalmar, part of Cargotec, has received a large order for 27 straddle carriers from its long-term customer Maher Terminals LLC in Elizabeth, New Jersey, USA. The order has been booked into Cargotec's 2015 third quarter order intake and deliveries are expected to be completed during the spring 2016. Maher Terminals is both renewing and expanding their straddle carrier fleet, now with environmentally responsible diesel-electric power utilizing U.S. EPA-mandated Tier 4 Final emission controls. The Kalmar ESC350 diesel-electric straddle carriers are rated for 50 metric tons (mt) with twin 20 feet containers or 40 mt with single containers. Included also in these straddle carriers are special features to improve productivity and performance in the challenging operating conditions of the customer. Furthermore, the straddle carriers will be pre-tested in Kalmar's testing facilities and delivered fully erected, allowing shorter installation and commissioning time at the customer's site. "Maher Terminals LLC is a long-standing customer of ours and we value the relationship greatly. We are honored to be part of their development activities," commented Richard Pope, Kalmar's manager of port crane sales in North America. "When the industry is in transition driven by rapid technological, environmental and economic developments, we are committed to provide state-of-the-art solutions." Maher Terminals LLC is one of the largest multi user container terminal operators in the world with highly efficient terminal operation. They have launched a Sustainable Port Infrastructure Project to strengthen operations while helping to reduce environmental impact and use of natural resources.